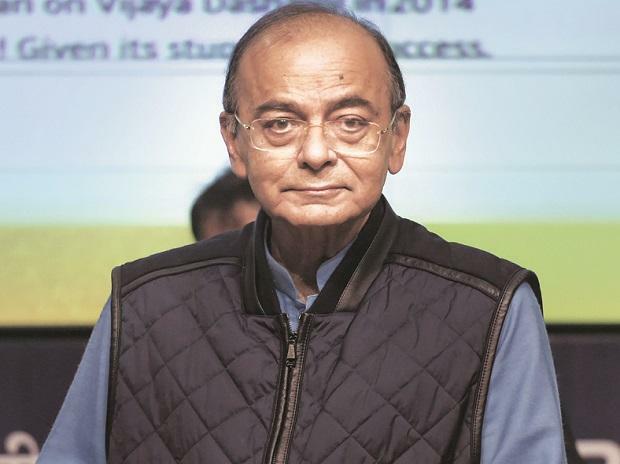 Finance Minister Arun Jaitley will present the Business Standard Annual Awards in the presence of top India Inc leaders and senior government officials who will gather at the ITC Maurya in New Delhi on Friday to celebrate excellence in the corporate, banking and social sectors. This year’s awards will be given to outstanding organisations and individuals who took their respective fields of operations to newer heights while delivering on scale, sustainability, leadership, and innovation. They were chosen by three separate juries comprising some of the most respected names in India Inc. While the corporate excellence awards were chosen by a jury led by Aditya Birla Group Chairman Kumar Mangalam Birla, the Banker of the Year was selected by a jury led by former Reserve Bank of India deputy governor S S Mundra. The CSR awards were chosen by a jury headed by Tata Institute of Social Sciences Chairman S Ramadorai. The jury chose Ashok Leyland Managing Director and CEO Vinod K Dasari the CEO of the Year for drafting the company’s growth strategy and focusing on three verticals to address the cyclical challenges of the trucking business. He introduced new products and focused on light commercial vehicles and built a strong intermediate commercial vehicle franchise, all of which led to its market share increasing from 12-14 per cent four years ago to around 25 per cent. One of India’s oldest success stories of foreign investment, Hindustan Unilever (HUL) has changed the way Indians go about in their daily life – ranging from home care, beauty and personal care, to foods and refreshments. HUL’s hard work was recognised by the jury, which awarded it the Company of the Year. The Unilever subsidiary stands miles ahead of formidable global and home-grown challengers such as Procter & Gamble and Patanjali Ayurved, and with the GlaxoSmithKline Consumer acquisition, it will become a leader in the health and wellness segment too. The jury discussed several outstanding individuals who have left a deep and lasting impact on India’s corporate history, but quickly decided on Godrej Group Chairman Adi Godrej as the winner of the Lifetime Achievement award. The Banker of the Year award would be presented to IndusInd Bank MD and CEO Romesh Sobti. Power Grid Corporation won the Star PSU of the Year award. Honeywell Automation India was declared the Star MNC of the Year, while Jamna Auto bagged the Star SME of the Year. Foodtech player Swiggy was chosen the Start-Up of the Year. The Social Entrepreneur of the Year award was jointly won by Katha founder Geeta Dharmarajan and Srijan founder Ved Arya. Srijan is a rural development initiative that relies on collaboration between the government, citizen organisations, donor agencies, and private businesses. A hybrid organisation, it works both as a consulting firm and a grassroots development agency, involved at every level — from design, to staffing and resource management, to implementation in the field. Dharmarajan wanted to solve the problem of children dropping out of school not because their parents could not afford to send them but because they did not find it interesting enough. Katha makes learning fun and meaningful with Dharmarajan’s trademark story-pedagogy. Today, it works with 700 municipal schools in New Delhi. Piramal Enterprises was chosen as the Socially Aware Corporate of the Year. The company’s targeted and hugely impactful work in Araku Valley in Andhra Pradesh towards improving the healthcare facilities for tribal communities was appreciated by the jury. The Social Enterprise of the Year award was won by Naz Foundation, which was founded by Anjali Gopalan in 1994 with a focus on gender, sexuality and providing care and support to children and people living with HIV/AIDS. Its women empowerment programme, which imparts life skills to adolescent girls to access their rights using sports, has grown from 70 girls to 90,000 today.